A collection of two windmills and a watermill with associated mill pond, mill races, wetlands. Step back in time with a guided tour and see the mill as they were in day gone by with many of the exhibits working. 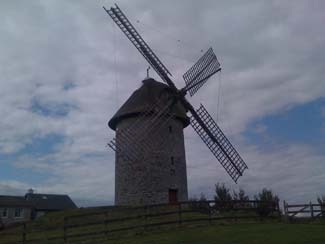 The story of stone-ground milling in Skerries can be traced to the early 16th century and continued until the early years of the 20th century and a bakery which existed by 1840, was producing breads and confectionery until the mid 1980’s.